We’ve long adored Studio Ghibli for their classics, like Princess Mononoke and Spirited Away. 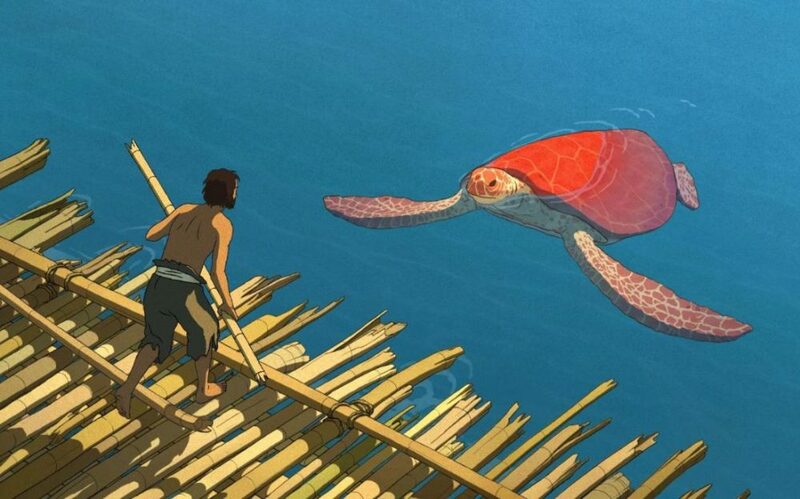 This amazing animation studio that just keeps giving never seems to let us down, and the streak looks like it’s still going; We just got ahold of The Red Turtle trailer, and now we’re dying to check it out in theaters! A first for short film creator Michaël Dudok de Wit, the feature is centered around a young man’s attempt to escape a deserted island. Each time he puts his handmade raft into the sea, a massive creature destroys it. And time after time, the young man is forced to come up with a new escape plan. The film doesn’t include any verbiage, but that doesn’t stop people from falling in love with the mute tale. And by the looks of the short trailer, we’re sure that we’ll having nothing but great things to say about the film, as well. Check out The Red Turtle’s awesome trailer, below! Whether it’s a testament to “never giving up” or “taking lemons and making lemonade,” The Red Turtle is inspiring. This is the first time Japan’s Studio Ghibli and director Dudok de Wit have collaborated on a film, and according to critics, it’s a hit. The hand-drawn and computer animation mix came together so well! We can’t believe that the creators were able to pull so much emotion from characters that don’t even have faces. And that makes us intrigued to check out the full story more than ever. Also, turtles are just awesome. Can’t wait can’t wait can’t wait! !